The final field & barrier draw for this year's Golden Rose. Free form guides, betting updates, race history & stats. Track info & scratchings for the Golden Rose. 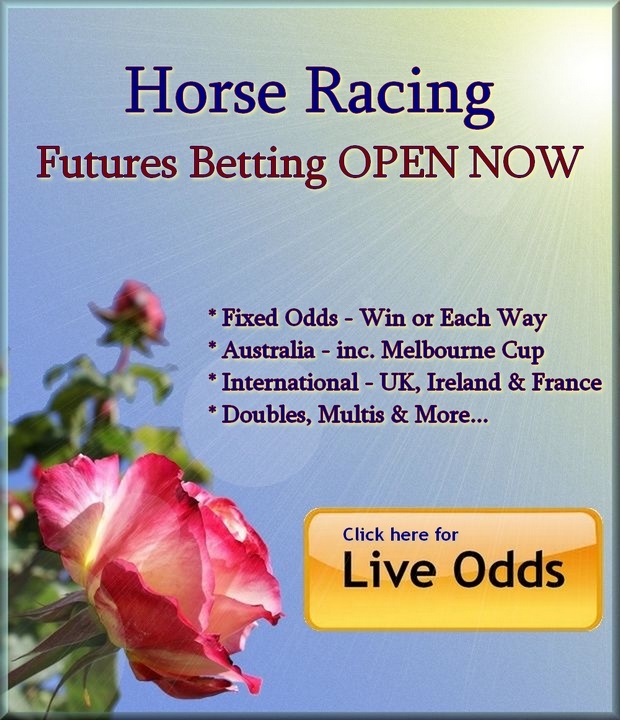 This website is operated independently by Australian Racing Report and not by the Australian Turf Club, which conducts the Golden Rose horse race, or any official racing organisation. For the official website of Randwick & Rosehill racecourses, see www.australianturfclub.com.au. While care is taken to provide accurate information, Australian Racing Report accepts no responsibility for any errors or omissions in the information at this website. Have fun but gamble responsibly. If gambling is a problem for you call gamblers help on 1800 858 858 or contact your local support services. The Race: Originally known as the Peter Pan Stakes, the distance was changed to 1400m in 2003. Being one of the first big races of the new Australian racing season (which begins on 1st August) the race has been a showcase for many young stars. Kingston Town is probably the most outstanding performer in this race, going on to win the Cox Plate 3 times from 1980 to 1982. Runners will often proceed to the Spring Champion Stakes and the Caulfield Guineas. Golden Rose Champion Winners: Kingston Town 1979 (also Spring Championship & Caulfield Guineas), Flying Spur 1995 (Golden Slipper, Blue Diamond Stakes), Denman 2009 (Run to The Rose & Stan Fox). Lead Up Races: Run to the Rose, Up & Coming Stakes, Silver Shadow, San Domenico Stakes. Time: Track record at the Rosehill 1400m is 1:21.51, Final Fantasy. The Track: Rosehill is a tight turning circuit that favours the on pace runners when the rail is in the True position. Once the rail moves out, weather and track conditions can seriously affect the pattern of racing, but the rail is usually close to the True position for this meeting. Track Bias, Barriers: The 1400m start is located on the back straight and there is a short run to the first turn. Inside barriers have a distinct advantage. Conditions: Group 1 3yo Set Weights. 2018 Winner: The Autumn Sun. The final field of the Golden Rose with barrier draw, jockeys, weights, scratchings & opening betting odds will be published here first ~ bookmark us! Want free tips for the Golden Rose? See our Eagle Tips.